Helping seniors and their families meet their home care needs is our main concern. 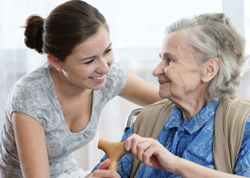 Angel Home Care, Inc. provides an array of non-medical support services. We understand everyone has different needs. Our goal is to help our clients maintain as much independence as possible. We are more than willing to work with you to customize a program that will meet you and/or your loved one's requests.